A retired Cameron County state district judge has been appointed to hear cases in Rudy Delgado’s 93rd district court indefinitely. 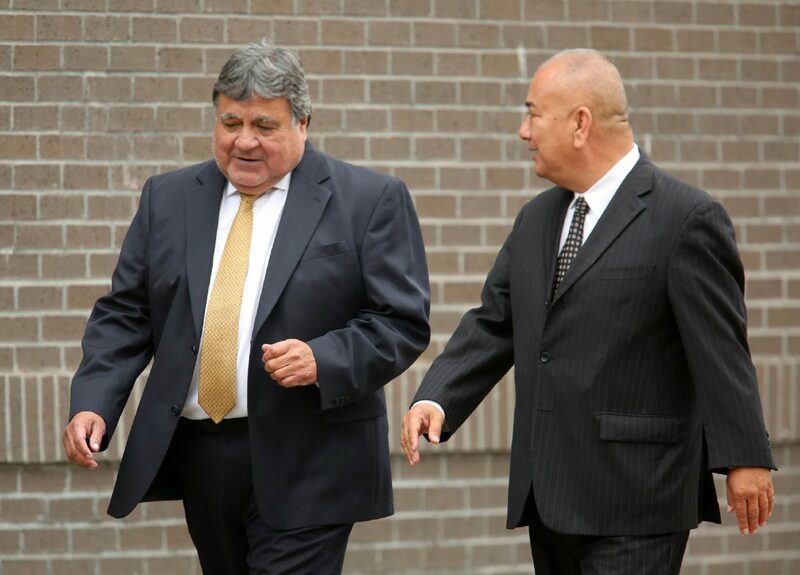 The Fifth Administrative Judicial Region’s appointment of Robert Garza, who serves as a visiting judge for the region’s 11 South Texas counties, came amid a federal investigation into Delgado for bribery. Delgado did not specify whether he would take a leave of absence while the court proceedings against him play out, only telling media he would not be on the bench Tuesday. Eric Vinson, the executive director of the Texas State Commission on Judicial Conduct, said the commission could suspend Delgado once he is indicted. It could take up to 30 days, and possibly longer, for a grand jury to decide whether to indict Delgado for bribery. “The commission may suspend a judge (with or without pay) immediately from office for any indictment involving a felony or a misdemeanor involving official misconduct,” Vinson said, noting that a judge has the ability to request a hearing before the commission to challenge the suspension. If a judge is convicted of a felony or a misdemeanor charge involving the judge’s official position, a judge is automatically disqualified from serving on the bench after the judge exhausts the appeals process. If acquitted, the commission would lift the suspension. Until a conviction or an acquittal is handed down, a visiting judge for the Fifth Administrative Judicial Region will preside over Delgado’s cases. Delgado’s term on the 93rd district court runs through 2020 and he hears both civil and criminal cases. Delgado announced his candidacy for the Place 4 seat on the 13th Court of Appeals in April 2017, and he did not specify Monday whether he plans to continue campaigning. He faces no challengers in the Democratic primary, guaranteeing him a spot on the November general election ballot. According to the Texas Election Code, neither an arrest nor an indictment disqualifies a candidate from running for office.